This fixture is a static colour changer with a fresnel lens. The ColorMix 250 AT is aimed at theatres, TV studios, stage lighting and interior and exterior architectural lighting. Features include CMY colour mixing plus an additional colour wheel, six dichroic colours and open, beam shaper, frost filter, dimmer shutter and an included barn door fitting for the front. 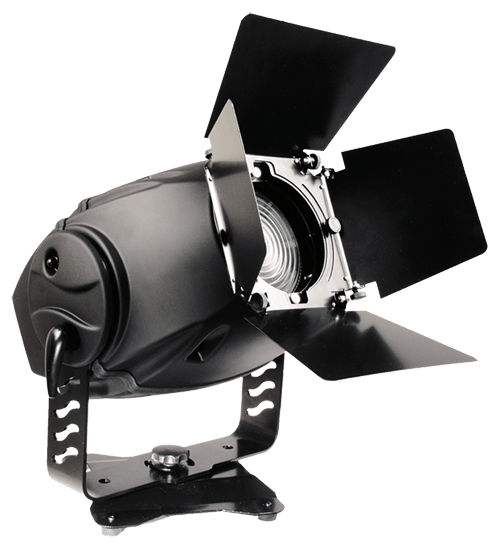 The fixture can be floor standing or wall/ceiling mounted and offers the same functionality needed as the Wash 250 XT moving head. The Opti TRI 30 10 degree by Elation Professional is a RBG tri color LED PAR featuring 7 TRI RGB LED running at 3W power each. The design of the fixture is optimized providing up to 50,000 hours estimated LED life, flicker free operation. This unit produces a standard beam angle of 10° (optional lens with 25° available). 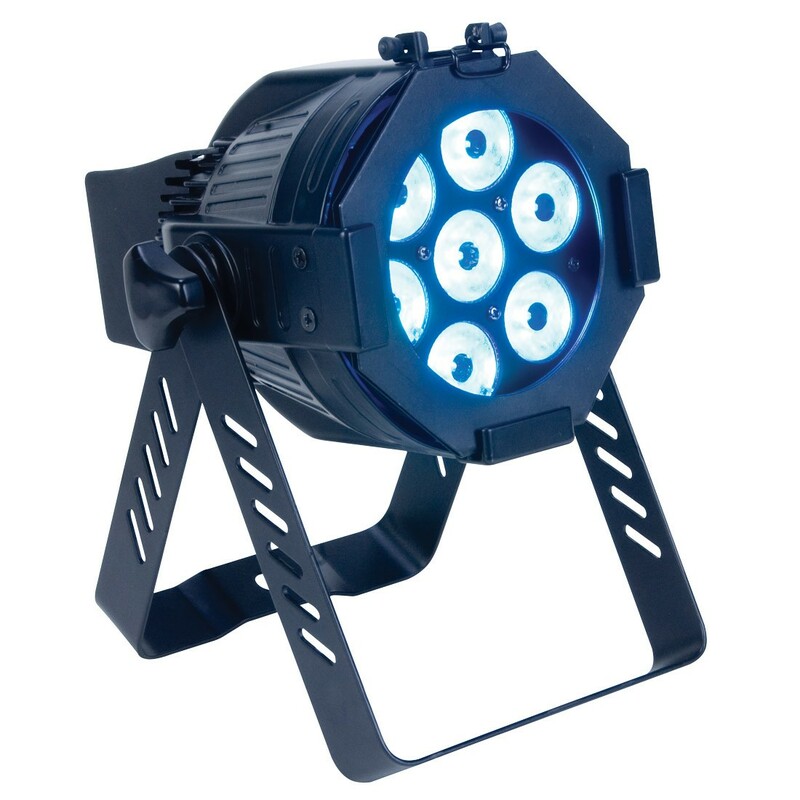 The OPTI 30 RGB fits in standard 30cm truss and can so be used as truss warmer or as a floor spot. Control data input is via 5 pin DMX data first in and out connections. Vi har givetvis diverse standard armaturer som fresnel, profiler och PAR lampor.